User interface designers have to make tradeoff decisions to cram many functions into a small screen or bury them deeper in layers of menu trees. Ultimately users are at the mercy of the designers with an increasingly steep curve that makes learning a new device difficult. This is the fundamental limitation of the current human-to-machine interface. Since Samsung makes millions of devices, this problem impacts the core of our business. Samsung has a conceptually new philosophy to the problem: instead of humans learning how the machine interacts with the world (a reflection of the abilities of designers), it is the machine that needs to learn and adapt to us. The interface must be natural and intuitive enough to flatten the learning curve regardless of the number of functions being added. With this new approach, Samsung has employed artificial intelligence, reinforcing deep learning concepts to the core of our user interface designs. Bixby is the ongoing result of this effort. Bixby will be the first step on a journey to completely open up new ways of interacting with your phone. At the launch of the Galaxy S8, a subset of preinstalled applications will be Bixby-enabled. This set will continue to expand over time. Samsung plan is to eventually release a tool (in SDK) to enable third-party developers to make their applications and services Bixby-enabled easily. 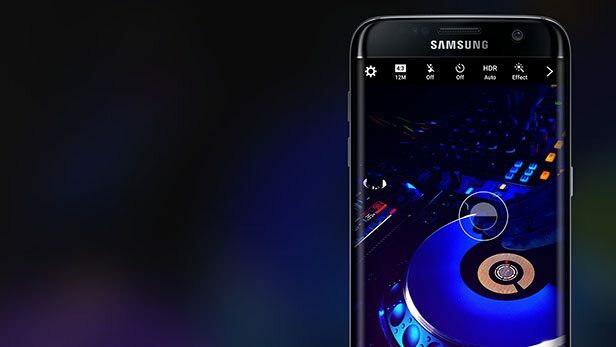 Starting with the smartphones, Bixby will be gradually applied to all Samsung appliances. In the future, you would be able to control your air conditioner or TV through Bixby. Since Bixby will be implemented in the cloud, as long as a device has an internet connection and simple circuitry to receive voice inputs, it will be able to connect with Bixby. As the Bixby ecosystem grows, Samsung believes Bixby will evolve from a smartphone interface to an interface for your life.